But it wasn’t always a Latino district. German and Irish immigrants settled in this neighbourhood in the 1840s. It is named after the Czech Republic town of Plzen. Lumber mills, sweatshops and railroad yard jobs defined the neighbourhood. During World War I, labour shortages enabled a small number of Mexicans to move into the district and get relatively well paid jobs. The numbers increased dramatically in the 1950s when the University of Illinois at Chicago expanded and forcibly moved out the Mexican community living on the “university’s land” and forced them to to settle in Pilsen. 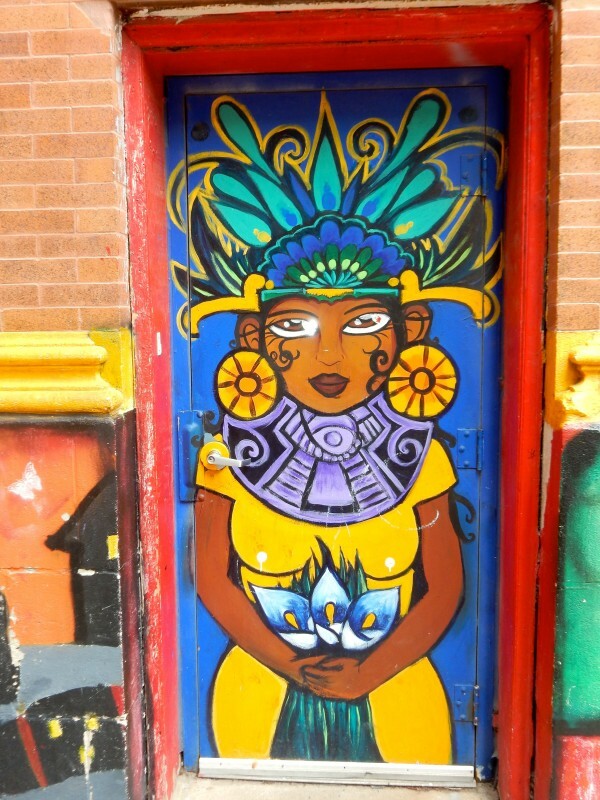 By the 1960s Pilsen had become a predominantly Latino area. 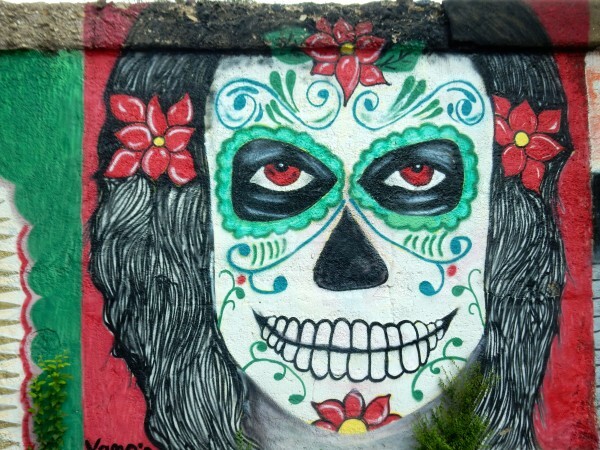 To assert their cultural and political identity Mexican artists decorated the neighbourhood with colourful murals and mosaics. 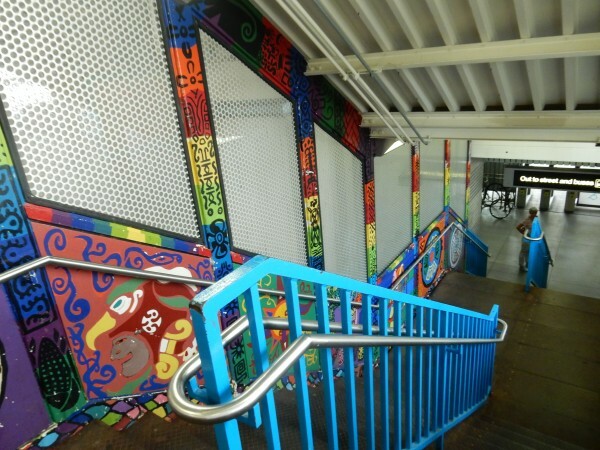 Interestingly the Catholic Church, cultural and political organisations also encouraged street painting. It was seen as an important method of creating community cohesion and protecting the district from the property developers. 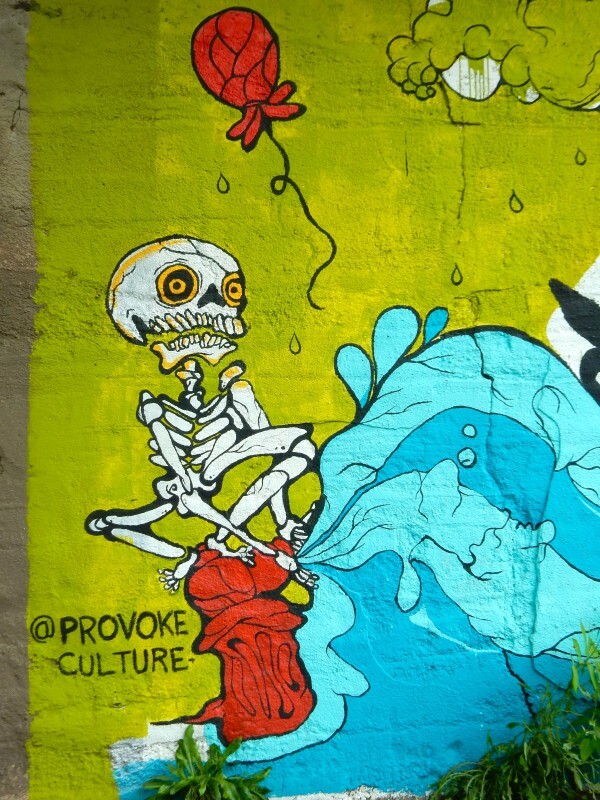 And it creates a rich and diverse street art. It’s important not to underestimate the importance of the church in American workers’ lives, especially among migrant communities. The church often plays an important role in defending the poor and working class. My translator explained that, although the couple’s daughter’s body had been recovered, they refused to accept that she was dead. For them she was still missing in their hearts. The meeting then discussed the campaign against Arizona Senate Bill 1070 (SB1070). If the law is passed it will make it a crime for an immigrant to be in the state without immigration papers and allow police to search “suspected illegal” immigrants and their vehicles. This would legalise the state racial profiling of Latinos, laws akin to those used by Nazis against the Jews in the 1930s. That anger and rage against the “Juan Crow” laws continues to this day. 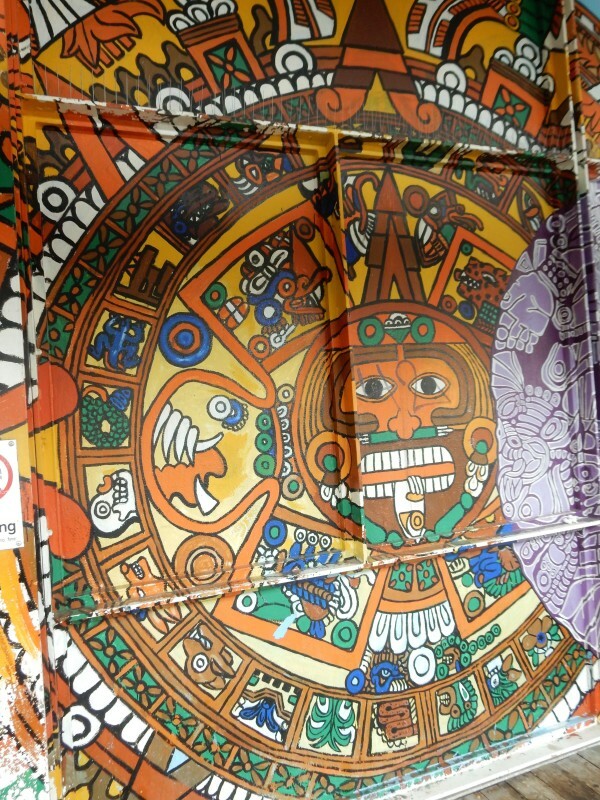 Today as you walk around the streets you can see hundreds of murals and mosaics. These works of street art depict the daily life of the migrant Mexican community and their struggle for civil rights. Many of these works are clearly influenced by the Mexican muralists of the 1910 Revolution – Diego Rivera and José Orozco. The design below is by local artist Francisco Mendoza. 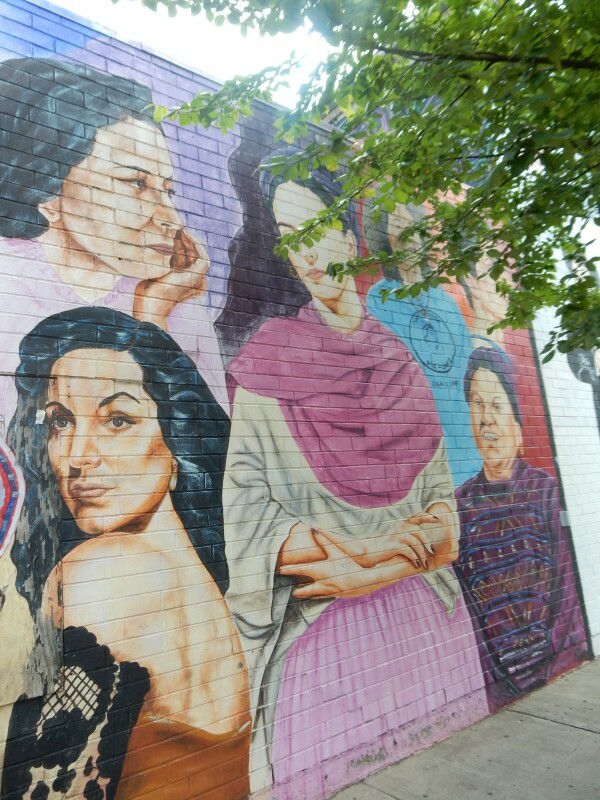 It features more than 40 panels depicting Mexican and Mexican-American luminaries such as Frida Kahlo, Diego Rivera, Carlos Santana, Hugo Chavez and Marisabel Rodriguez de Chavez. This panel is called “Woman Power”. 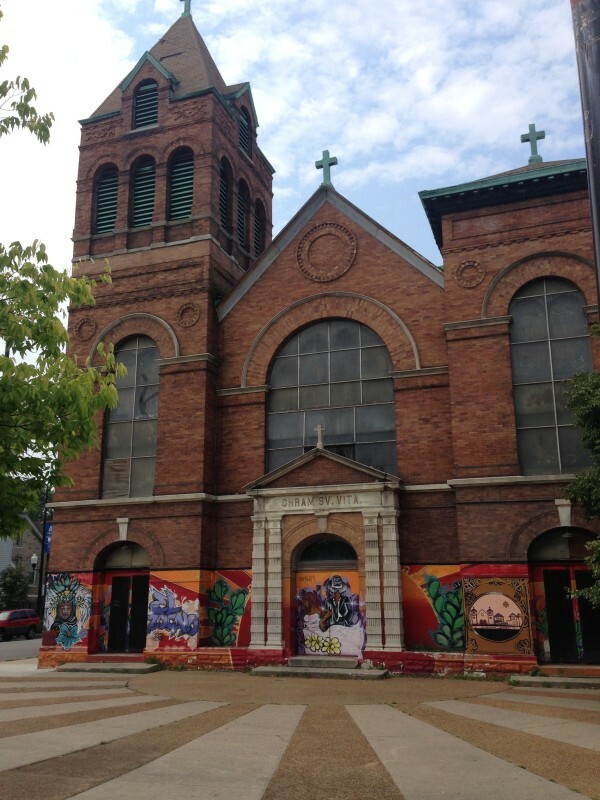 Starting with the German and Irish community, Pilsen is a district with a strong union tradition. Lumber strikes in 1875–76 inspired a railroad strike in 1877 (part of a national strike) that spread to all industrial workers in Pilsen. The 22nd US Infantry marched into Pilsen in July to put down the strikers, killing 30 residents and injuring hundreds more. Pilsen workers also were involved in strikes in 1886 that culminated in the Haymarket Riot. 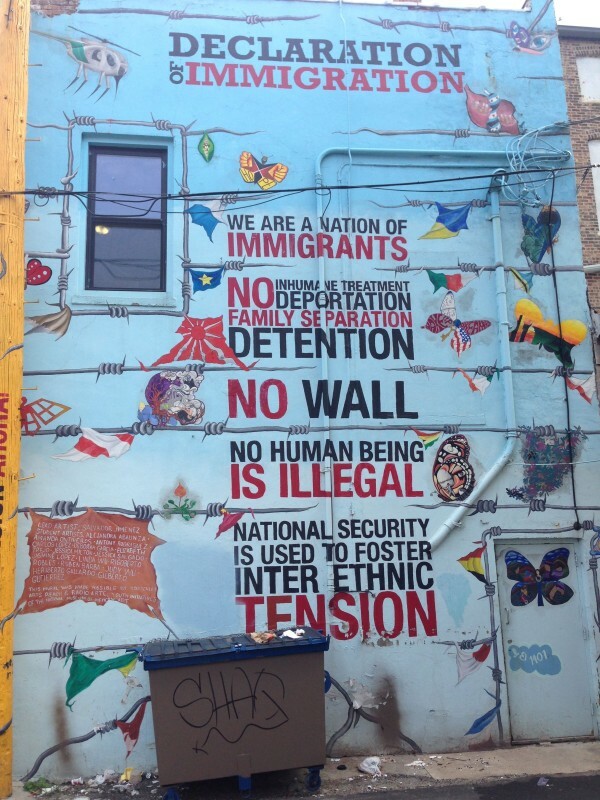 Latino workers in Pilsen carry on the struggle for workers’ rights today. It is claimed they have the highest levels of unionisation in the city – even the small street corner shops are unionised. 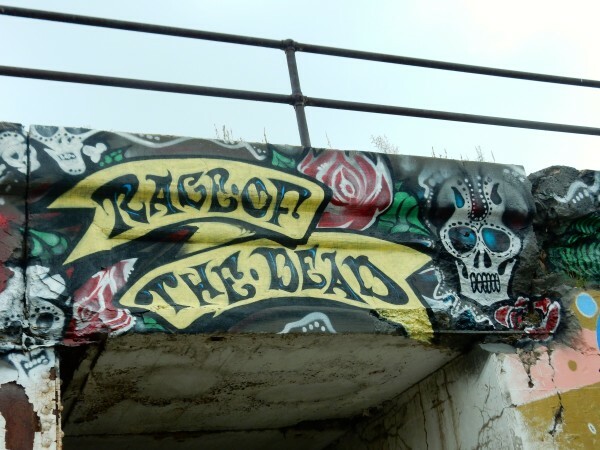 Not only do unions have a very strong presence in the area, they campaign use their leverage to win community rights and defend migrant workers.The piece below is by Salvador Jimenez and a group of art students from the local college. This fusion of religious, cultural and political mural painting is alive and well today, but has also developed a modern twist. 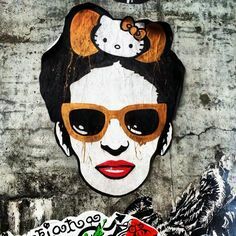 The young Mexican artists incorporate elements from the past but now their new work is heavily influenced by modern graffiti and street art movements. 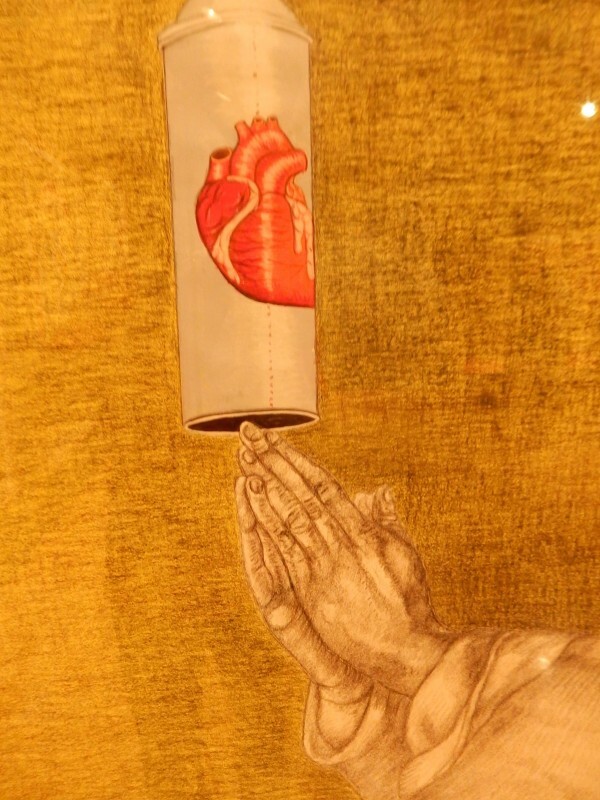 And as the piece below by Gabriel Villa shows, some artist are prepared to gently mock religious iconography. Others evoke the great Mexican artists, but rather than attach their work to the church or cultural institutions, they present their work in alternative spaces. 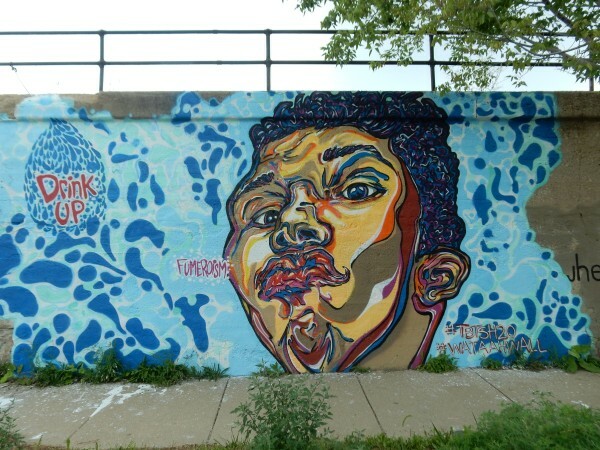 As street art has developed into a worldwide movement, many of the young street artists have developed a more international style – below are a few works that where this can be seen. 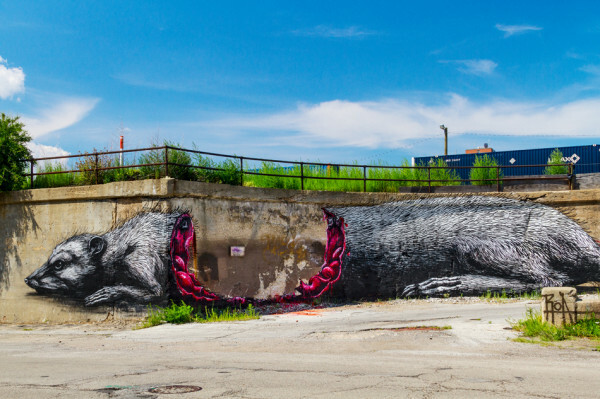 But I end with one of my favourite street artists, ROA, whose work can be found all over London – he probably painted one of his greatest works here in Chicago.